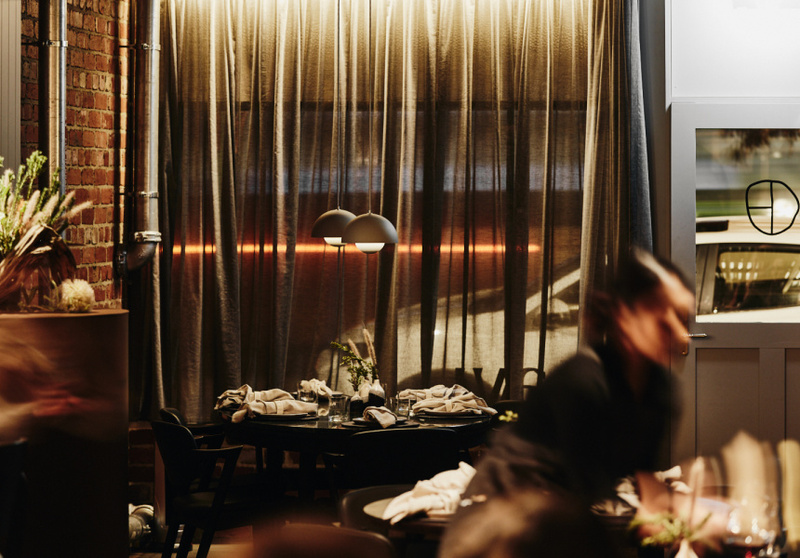 Typically, it’s living room lights that shine through the curtains on sleepy Gamon Street. From behind one gauzy grey set, though, comes the glow of Navi. 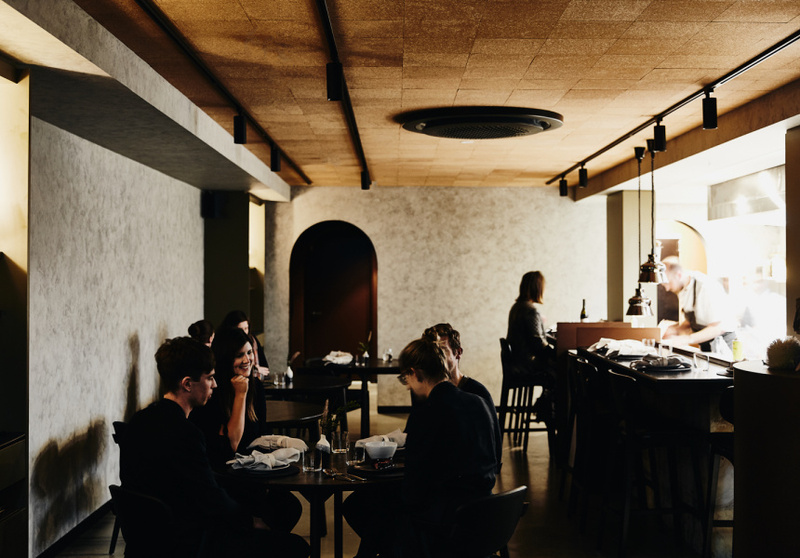 Beneath a corrugated and wrought-iron awning is the door to chef Julian Hills’s first restaurant, where rigorous European technique meets native ingredients and Eastern philosophy. There are only 25 seats. This allows Hills to use produce that may only be available for a short time, or in short supply, from small local farms. Navi serves a $120 eight-course tasting menu (a five-course version is available on Wednesday and Thursday). 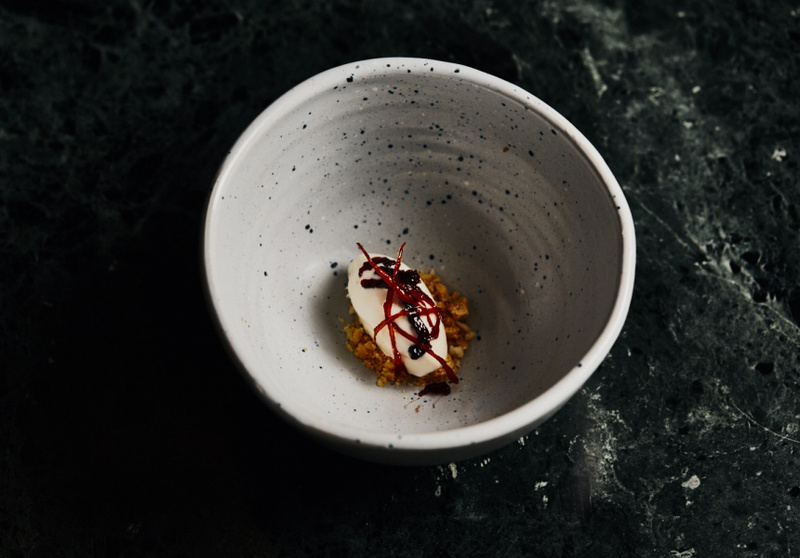 Hills has a bachelor of fine arts in drawing and ceramics and has taken his passion for craftsmanship and made it a vital element at Navi; he made every plate brought to your table. And the dining room, with its elegant charcoal palette, is intimate but far from stuffy. Expect dishes such as smoked blue mackerel marinated in honey and white soy, and then aged for a week in beeswax. Saline beach greens cut through a dashi made with the fish’s roasted carcass and toasted tea tree leaves. Nori tapioca crisps crackle as the dashi – poured at your table – hits them. Enjoy with sake chosen by Turin-born sommelier Cristina Flora, once senior sommelier at the Press Club. The flavours are undeniably Australian. In one dessert, full-cream cow’s milk is infused with strawberry gum leaves before it’s frozen into a sorbet. Sticky pectin – a starch found in fruit and vegetables – is released from tamarillo seeds as they’re cooked in a sauce, incrementally basting fresh quandong and more tamarillo. Those fruits are then sliced into leathery slivers to finish the dish.